Mizzfit: Why do some people influence us more than others? What is it about role models that make our lives just that much better? 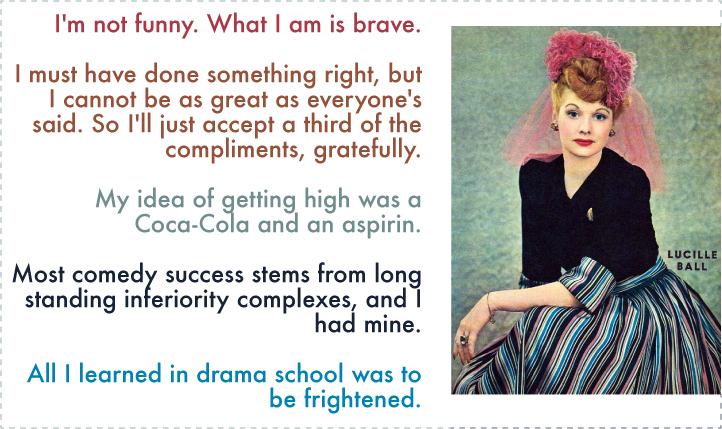 This week we share our favorite female historical figures in an effort to understand their influential natures. As I comprehend it, a role model isn’t a paragon of virtues or for that matter respectable in all areas of life. Instead, a role model is someone with a zest for life that is contagious. Sure they know life is not easy. What makes them stand out is how they tackle what life throws at them. For me it’s not about grace under pressure, it’s the embracing of the grittier aspects of life’s challenges, no matter how dark. Only one person springs to mind, and I think you’ll agree that she had a fair amount of trials and tribulations thrown her way. Frida Kahlo. Artist, activist, wife, traveller – all with a heavily damaged spine. She came into my life via a library in New Jersey while I was in the military. I was entranced. Those paintings just reached out and grabbed my attention like none other. 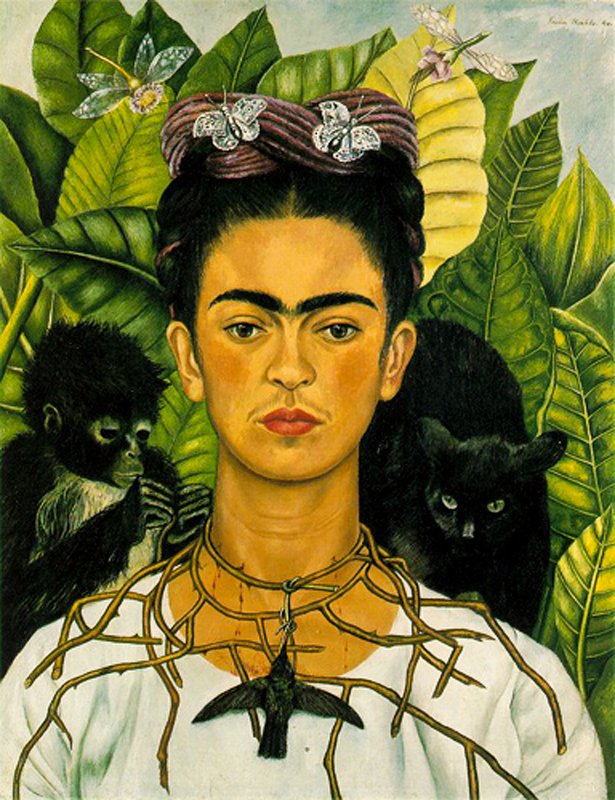 Frida Kahlo survived a horrific bus accident at 18, you might say it altered the trajectory of her life. Through her paintings we see her vitality. It was her self-portraits that got me to try one of my own in my little dorm room on the base. She inspired me to embrace all creative notions – painting myself with blue skin, why not? What I love most about Ms. Kahlo is that she never gave up. Broken in many places, enduring extreme emotional and physical pain, she’s my role model who gets me art journaling and who makes me empathetic when I see suffering. In the pressure cooker of life she emerged as one tough chick who fought and loved at a level I can only dream of. Gracias, Frida. FitnessFlirter: I think of my Great Aunt Mary often and it warms my heart. She taught our family so much during her 92 years on this earth. I am so grateful to be able to share some of those lessons with the Move Girl Go community. I lovingly called her Aunty Mary. Aunty Mary would celebrate her family and friends. She would throw big Christmas dinners that would have course after course with multiple desserts at the end. There was always room for one more, so an unexpected guest was always welcomed. I have fond childhood memories of numerous backyard BBQ’s. She would host these to celebrate family birthdays and fair weather holidays. I was so happy to celebrate with her our September birthdays. 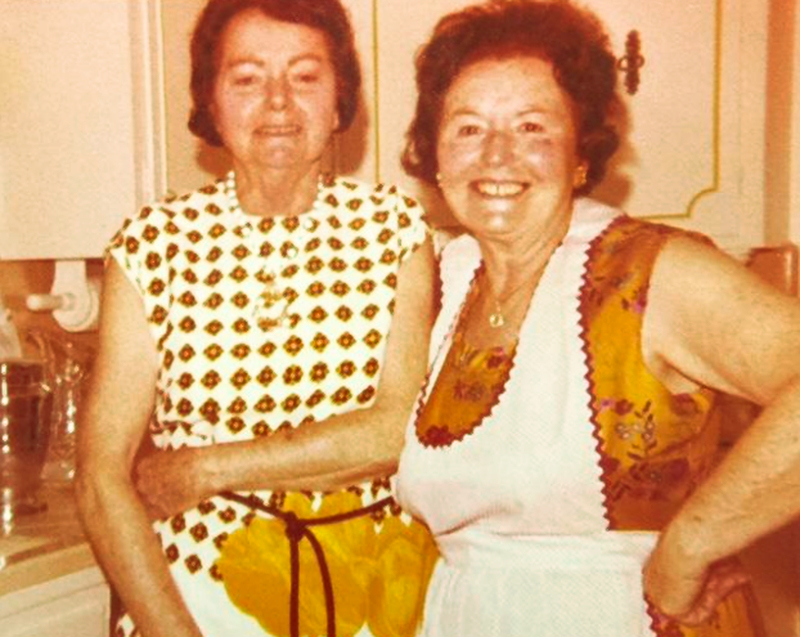 Aunt Mary (on the right) with her sister Theresa, in the kitchen, before one of the September Birthday celebrations. Aunt Mary also showed us that women could be amazing in the business world. Even though she experienced the Great Depression, she and my Uncle were able to run a successful liquor store in San Francisco. She was a terrific sales person, even though she didn’t drink! Her charm and sense of humor kept the customers entertained. Also, her detailed bookkeeping and mindful financial choices kept them in a comfortable lifestyle. Today I am an Aunt. I am so lucky to have had such a wonderful role model. I hope that I can continue the tradition of celebrating loved ones and integrating fun with business. Thank you Aunty Mary. LaFitterina: Instead of frivolous Summer fluff, we’re focusing this week on our favorite historical heroines. This topic immediately brought to mind some assignments from grammar school, in which I had to read and write about Clara Barton and Marie Curie. I have since always revered these women. Just some bare facts about them remained stuck in my head which are the basis for my synopses below (fact-checked and a bit enhanced by a quick ‘Net search). 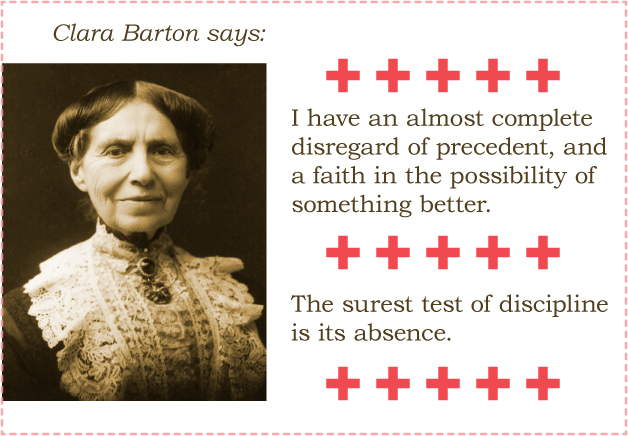 Regarding Clara Barton (1821-1912 — wow, 90 years old): She worked as a wartime nurse (Civil War) and founded the American Red Cross. I have to conclude that her influence must have been one of the drivers behind my becoming a Certified Nurse Assistant in my post-retirement. 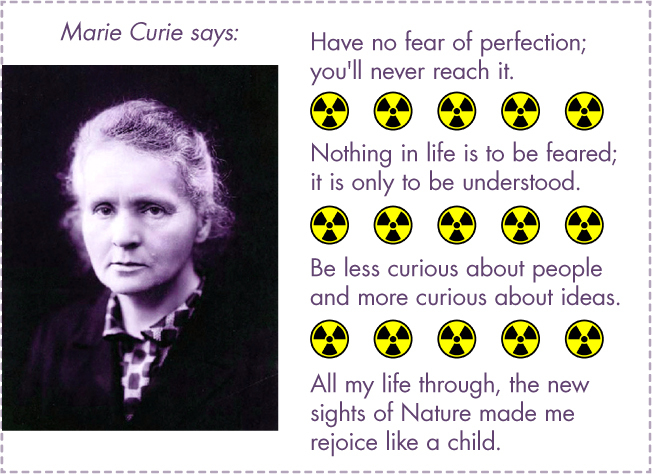 Regarding Marie Curie (1867-1934 — sadly, only 66 years old): She discovered radioactivity and, in pursuit of her research, she sacrificed her health (over-exposure to radiation). According to the ‘Net, she was the first woman to win a Nobel Prize and the only woman thus far to win twice (Physics in 1903, Chemistry in 1911). Definitely, she helped instill in me the all-important imperatives of hard work and career. These women were fearless pioneers and their biographies are refreshingly untainted — no gossipy references to scandals, personality flaws, etc. such as we might find with our modern-day heroines. Ms. Bockle: When asked to talk about influential historical figures, one sort of automatically goes down the hall where the walls are decked with the likenesses of scientists, explorers, inventors or politicians. For me, Lucille Ball comes to mind as an influential person in my life, starting with the comedy series, “I Love Lucy”. It was one of the few shows that my sister and I were allowed watching, and decades later, I’ve discovered that her popularity ranged across the globe. Why Lucy? Why turn to comedy for an influence? My mother taught us at an early age to join in the laughter with others, even when we might be the target—otherwise we’d be miserable and lonely. With the unlikely surname of Heinbockel, one learns to be a stand-up comic. Decades later, I’ve learnt that laughter still has an uncanny ability to heal. Born in 1911, she was 3 when her father died. When her mom remarried, the new dad didn’t want either Lucy or her brother, so the two were parceled—separately—off to relatives. Lucy lived with a strict family who could hardly afford to purchase pencils for her school work. At 11 she was reunited with her mom, and then went off to enroll in a N.Y. drama school where Bette Davis was the star pupil. The school told Lucy’s mother that she was too shy and reticent to amount to much. Not prone to giving up, Lucy went to Hollywood in the 1930’s, where she met a young and dashing Cuban: Desi Arnaz. They married, and after a few failed attempts to act together, they were finally recognized as a talented comedy team, and “I Love Lucy” was created. ‘Bombastic and daring’, with themes about marriage issues, women in the workplace and life in suburbia, it paved the way for many more family sitcoms. Star of the show Lucy was a perfectionist, working for hours to get her facial expressions and antics just right. Her ground-breaking work provided a smooth road for many actors, including Mary Tyler Moore and Robin Williams. When she and Desi were divorced, Lucy bought out her husband’s shares of Desilu Productions, becoming the first woman to run a major T.V. production studio. She later sold it for $17 million. That’s a pretty sketchy biography; I encourage you to read about this brave, funny, daring and determined lady to get more salient details to inspire you. Written by Desi Arnaz before his death: “I love Lucy” was never just a title.